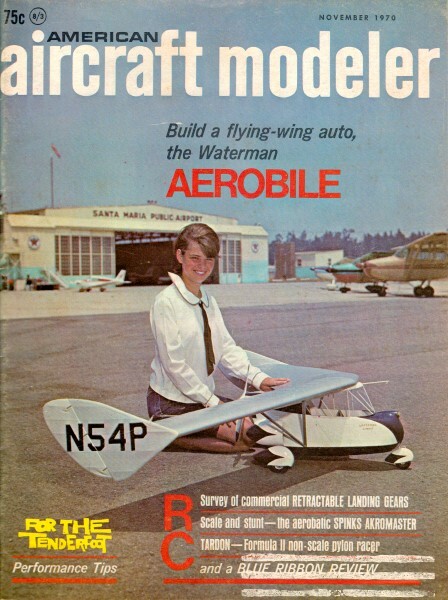 Cover Photo: Miss Terri Orson poses with Terry Aldrich's Waterman Aerobile at Santa Maria Airport. On real plane, entire swept flying wing could be removed when fuselage was driven as a car. Photo by Aldrich.